Legal services were provided volunteer attorneys, Legal Aid, Maryland Volunteer Lawyers Service (MVLS), and the Homeless Persons Representation Project (HPRP). The pro bono attorneys were Ginina Stevenson, Myriem Seabron, Eric Crowder, Nickola Sybblis, and Patrice Clark of Iliff, Meredith, Wildberger & Brennan. Jonathan Church of the Office the State’s Attorney was also on hand to help wherever needed. And again this year, there was a large contingent of attorneys from the Annapolis Office of Legal Aid: Margaret Leonard, Amy Seigel, Kathleen Hughes, Anita Bailey and Lisa Sarro with Tammy Watts, paralegal. As always, the number one issue was expungement. This year Amy Petkovsek and Bobbie Steyer brought Legal Aid’s portable expungement clinic. Thirty six guests were assisted with expungement. With the changes to the expungement law on October 1, we are especially grateful for access to the MVLS webinar on expungment presented by Matthew Stubenberg. Laurie Culkin and Maxine Roberts at the MVLS table were able to provide guests with information about MVLS services and had 8 family law intakes for representation. Swapna Veluri of HPRP with volunteer attorneys Jeremy Anderson, Martha Voorhees and Kate Bunker were on hand to provide assistance to veterans. This year there were only 17 guests who were veterans. Legal services are coordinated by the Anne Arundel County Local Pro Bono Committee with member Joan Bellistri, Director of the Anne Arundel County Public Law Library. To see the full legal statistics, check out the wiki page. The 9th Annual Anne Arundel County Homeless Resource Day was held on Saturday April 9, 2016. This was the eighth year that Anne Arundel County attorneys volunteered to provide legal assistance to those who are homeless or in danger of becoming homeless. This year, 15 attorneys provided 35 clients with legal advice on 41 different issues ranging from criminal records to wills. Criminal records can be a barrier to housing and employment making criminal records expungement the number one issue. This year 8 people could be helped with clearing up their criminal records. The Office of the Public Defender and Legal Aid were able to file more than 25 petitions for expungement. More statistics can be found here. and vice chair of the Local Pro Bono Committee; Sarone Solomon who is a Legal Aid attorney working for the new Maryland Courts’ Self Help Center; Jonathon Church, Anne Arundel County Deputy State’s Attorney; and Nickola Sybblis who volunteers in the Lawyer in the Library program. Matthew Stubenberg of MVLS, who coordinated the the expungement clinic held at the Anne Arundel County Glen Burnie Regional Library in February, was on hand to help with expungement questions and Nasim Chatha of MVLS brought information for guests about MVLS services. Joan Bellistri, Director of the Anne Arundel County Public Law Library, coordinates Homeless Day Legal Services and is on hand to help attorneys locate appropriate resources and referrals. Overall, the number of people seeking legal assistance was much lower than in previous years. It could be attributed to the new location of the event, the location of legal services in the building and the weather – snow in April! However, as Lisa Sarro, of Legal Aid put it, “in terms of tangible results for clients, this was the best.” Without the pressure of other clients waiting attorneys could spend more time with each client. Lisa stayed past the 4:00 end time when just about all other providers had packed up and left to help the last guest of the day with expungements. The guest remarked that she had been trying to get help everywhere and didn’t really expect to get that help that she needed but was happy to say that she did. Looking for Attorney Volunteers for Homeless Resource Day! Here are some of the volunteers from last year’s Homeless Resource Day! 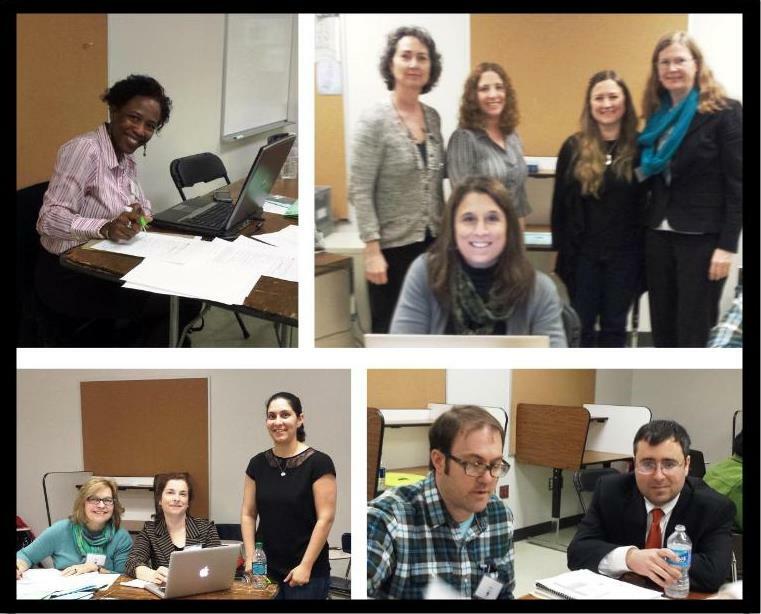 Attorney volunteers are still needed for the 8th Annual Anne Arundel County Homeless Resource Day, which will be held this Saturday, March 28, 2015 at Annapolis High School from 8:30 a.m. to 4:00 p.m. Volunteer attorneys are among the many service providers available on this day to assist individuals and families experiencing homelessness. During this “one-day, one-stop” program, volunteer attorneys provide limited legal advice on a wide range of topics, including expungement, family law, benefits, debt, housing and foreclosure. Homeless Resource Day provides individuals and families experiencing homelessness with invaluable services and benefits that can assist them on the path to housing and self-sufficiency. Volunteers are needed throughout the day, which is divided into two shifts. The morning shift is from 8:30am to 12:30pm, and the afternoon shift is from 12:00pm to 4:00pm. Volunteers can sign up for one or both shifts or specify a different time-range that works best for the attorney. Based on past experience, the morning hours are the busiest hours. If you are interested in volunteering, please sign up here or contact us! For more information about Homeless Resource Day, check out this sites. The 8th Annual Anne Arundel County Homeless Resource Day will be held on March 28, 2015 at Annapolis High School from 8:30 a.m. to 4:00 p.m. Volunteer attorneys are among the many service providers available on this day to assist individuals and families experiencing homelessness. During this “one-day, one-stop” program, volunteer attorneys provide limited legal advice on a wide range of topics, including expungement (the most asked about issue), family law, benefits, debt, housing and foreclosure. Homeless Resource Day provides individuals and families experiencing homelessness with invaluable services and benefits that can assist them on the path to housing and self-sufficiency. HPRP (Homeless Persons Representation Project) will provide attorney volunteers with a lunchtime training on expungement prior to Homeless Resource Day on March 19, 2015 at the Law Library. 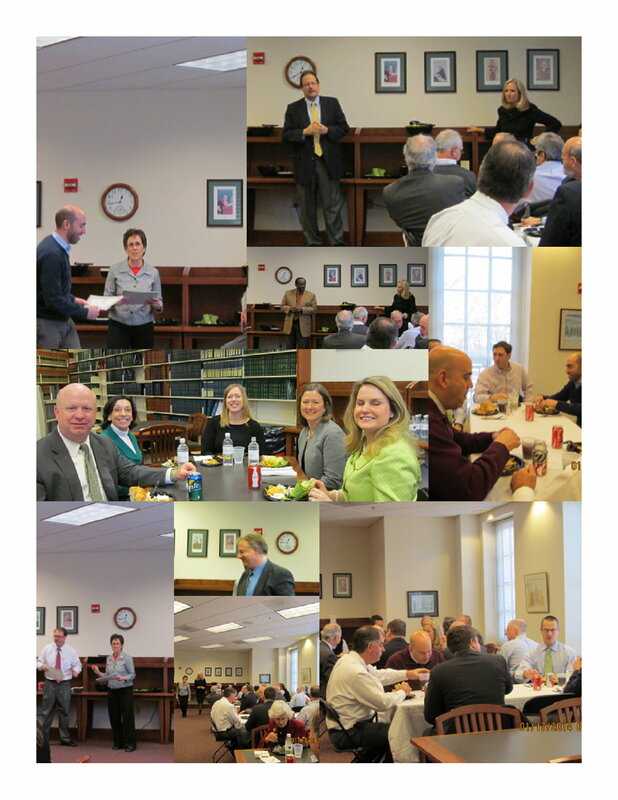 The Annual Pro Bono Recognition lunch was held on Friday, January 17. It was the best turnout ever for the event with 45 attorneys, judges, and court staff filling the law library’s reading room. Attorneys who volunteer for the Lawyer in the Library programs and Homeless Resource Day as well as Court Facilitators and MVLS volunteers were honored for their pro bono service and provided lunch catered by the Main Ingredient. All volunteers in attendance received a certificate thanking them for their service and the number of pro bono hours were also provided if an Ask a Lawyer volunteer. The Local Pro Bono Committee was represented by Scott MacMullan, Michelle Moodispaw, Chris Poulsen, Anita Bailey, Lisa Sarro, Suzanne Vetter, Hon. Pamela North and Joanie Bellistri, Chair. New member, Lauren Wallace of the YWCA Domestic Violence Program made her first contact with the Committee at the lunch. Hon. Ronald Silkworth, Hon. Paul Harris, Hon. Michael Wachs, Hon. William Mulford, Hon. Philip Caroom, Hon Pamela North, Hon. Paul Hackner were able to come to the lunch as well as masters Muskin, Thurtle and Gunning. In fact, all of the Anne Arundel County Circuit Court bench who were in court on Friday were there. It was especially nice that Anne Arundel County Appellate Court judges, Hon. Clayton Greene and Hon. Timothy Meredith, were able to come, too. Having a judicial presence and the words of appreciation by Judge Hackner, the new Administrative Judge; Judge Greene, the author of Clearing a Path to Justice, a report detailing the needs of self-represented litigants; and Judge North, the circuit court judicial committee member, will hopefully make a difference in encouraging the continued pro bono work by Anne Arundel attorneys. Judge Caroom announced a plan for solicitation of AABA member pro bono stories for publication in the Barrister. It was great that Patty Stephenson, President of the Inns of Court, could attend. The Inns of Court through the coordination of Patty and Judge Silkworth has been helping to get the word on pro bono service out to their members through Chambers Chats and time from Inns of Court programs to mention pro bono. Fran Czajka, Executive Director of the Anne Arundel Bar Association, represented the Bar Association. Doug Hofstedt and Nancy Faulkner of Court Administration and Kim Doan, Erin McCarthy, and Courtnee Hill-Jones of the Office Case Management and Julie Shenk of the law library provided a good court contingency. It is an unfortunate fact that Anne Arundel County ranked last in the state for reporting 50 or more hours of pro bono service for the year reported in November of 2012. As of the November 2013 report Anne Arundel has moved back to fourth from the bottom. An improvement but not a great improvement. This fact brought about a number of conversations between the court and the bar at the lunch. It is hoped that those conversations will continue and that there will be success in changing the culture of the Anne Arundel Bar in regard to pro bono service. The following was submitted to the AABA newsletter, the Barrister. A report on the Local Pro Bono Committee should begin with an overview of the Committee’s purpose. The Local Pro Bono Committee is a separate entity from the AABA Pro Bono Committee and exists per Maryland Rule 16-902. The rule provides that the committee consist of a combination of judges, attorneys and the general public. The Committee is charged with working with legal services providers and pro bono referral organizations to develop a Local Pro Bono Action Plan to “promote pro bono legal service to meet the needs of persons of limited means in the county.” Kevin Shaeffer chaired the committee that wrote the plan in 2004. The Committee stopped meeting after a time. In 2010 interest in pro bono service sparked by AABA president Jonathan Kagan lead to the formal reconstitution of the Committee in July 2011. Through the work of the Committee and volunteer attorneys Anne Arundel County has established some good limited legal advice programs. The Committee must now concentrate on what can be done to increase pro bono representation in our county. (Anne Arundel is again last in the state in reporting pro bono hours.) The Committee has partnered with the Maryland Volunteer Lawyers Service which acts as the Anne Arundel Pro Bono referral service. There are still more clients from Anne Arundel County in need of representation than there are Anne Arundel volunteers. 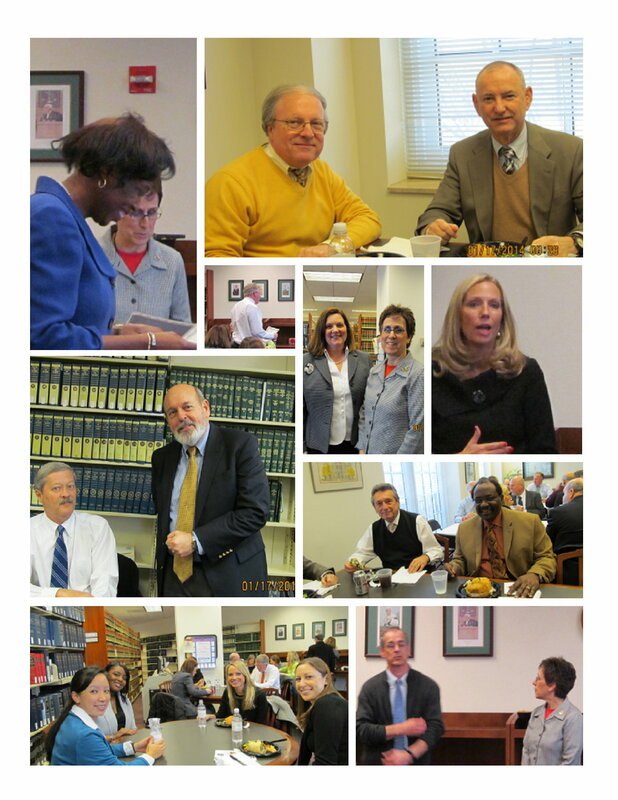 The 2013 year began with the Annual Pro Bono Recognition Lunch in January. Attorneys who volunteer in the “Ask a Lawyer” programs by providing services in the Anne Arundel County Public Law Library, at the North County Area Library of the Anne Arundel County Public Library system and at the Annual Anne Arundel County Homeless Resource Day were invited to lunch where they were thanked for their service and received certificates that detailed their pro bono hours for the year of 2012. Circuit court judges Hon. Nancy Davis-Loomis, Hon. Phillip Caroom, Hon. Ronald Silkworth, Hon. Alison Asti and Master Timothy Thurtle as well as Court Administrator, Doug Hofstedt, and Nancy Faulkner, Director of Court Operations attended to show their appreciation. The 38 volunteer “Ask a Lawyer” attorneys provided 206 hours of free legal advice to 445 clients in 2012. The Annual Anne Arundel Homeless Resource Day was held on March 16 at Glen Burnie High School. Even though it was not held on the traditional last weekend of March, attendance was not affected. This was the 6th Annual Homeless Resource Day and the 5th in which Anne Arundel Attorneys have provided legal services. There were 14 volunteers this year who took on either a morning or afternoon shift. The volunteers consisted of a large contingent of Legal Aid Attorneys who have the experience needed to handle the issues facing many of the homeless. This year Anita Bailey, Margaret Leonard, Amy Siegel, and Kathy Hughes represented Legal Aid. Judson Arnold and Denis O’Connell who are with the Office of the Public Defender were able to help with criminal issues. They performed 2 intakes for representation. The varied experience of private practice attorneys is always needed and appreciated. This year Make Valadez, Tasnima Apol, Jim Sauer, Kari Fawcett, Gene Brennan, Scott MacMullan and Ginina Stevenson volunteered. Past experience had shown that there are usually more clients in the morning but this year the afternoon seemed just as busy. There were 88 participants in all who used the legal services this year to find answers to 95 legal questions. While this was a small increase over last year, in 2009, the first year, there were only 4 attorneys who helped 50 clients. The majority of those are seeking assistance with expungement or family law. Representatives from the Homeless Persons Representation Project (HPRP), Atonia Fasanelli and Katie Scott provided support with expungement issues at the event and provided training for volunteers beforehand. Of the 31 asking for assistance with expungement, there were 4 referrals to HPRP and only 3 that actually met the qualifications for filing. This year we had additional assistance from the Maryland Volunteer Lawyers Service. Executive Director, Bonnie Sullivan and Sally Snowberger, the Foreclosure Prevention Housing Counselor, were able to provide assistance and perform intakes for the 7 who qualified. The Anne Arundel County Homeless Resource Day was the first Homeless Day in Maryland and is being used as a model across the state at the request of Governor O’Malley. In order to share ideas for the promotion of pro bono service the Court of Appeals Standing Committee on Pro Bono Service held a regional meeting on March 18 for the Local Pro Bono Committees of Anne Arundel, Carroll, Frederick and HowardCounties. Although it was held in March just two days before the start of spring, the winter-like weather made travel to HowardCounty difficult. Still, most all who responded made it to the meeting. Attending from Anne Arundel County were Joanie Bellistri, Law Librarian and Chair; Anita Bailey, Lisa Sarro, and Sarah Frush of the Legal Aid Bureau; Judge North and Judge Silkworth from the Anne Arundel County Circuit Court; Chris Poulsen, Anne Arundel County Department of Social Services Program Manager; Scott MacMullan representing the Anne Arundel County MSBA Young Lawyers Section and Elizabeth Morris of the Office of the Attorney General. The program involved a number of guided, small group discussions on topics such as the pro bono referral process, volunteer recruitment and retention, collaborating with the bench, and client needs v. volunteer interest and expertise. Each group was created by assigned dinner seating so that there was a good mix based on location and background at each table for the discussion. Group findings were reported to the larger group and all seemed to touch on the same basic points no matter the topic. In brief, it was found that there is a need for full representation, especially in family law cases, that is not being met. Pro bono service needs to become a part of the local bar’s culture. Methods for encouraging increased pro bono participation included recognition of volunteers through awards programs, special treatment in the court room or free photocopies, and thank you letters from the bench; support of volunteers with training, mentoring and case costs; and awareness of legal service programs that will place volunteer attorneys and programs that provide referrals for those in need of the services. The evening ended with a meeting of each county’s representatives to discuss their county’s needs and to plan for that county’s pro bono activities. As a result you should see renewed efforts to increase pro bono participation in Anne Arundel County. Right now, please consider giving pro bono service a try. If every attorney in Anne Arundel would agree to take just one pro bono case, we could see a big improvement in the lives of those facing legal problems without assistance and an increase in Anne Arundel’s reported pro bono hours. Please contact the Local Pro Bono Committee with any questions, ideas, suggestions or to join: 410-222-1387 or library@circuitcourt.org. The Anne Arundel County’s Homeless Resource Day will receive the Pro Bono Resource Center Herbert S. Garten Special Project Pro Bono Service Award this year. The award will be presented to Christine Poulsen, Anne Arundel County Department of Social Services Program Manager Community Initiatives Unit, Coordinator Homeless Resource Day at the Annual Meeting of the Maryland State Bar Association on June 16, 2012. The Anne Arundel County Homeless Resource Day was initiated in 2008 at the request of County Executive John Leopold. Christine Poulsen of DSS is responsible for the creation and ongoing development of the program. Homeless Resource Day provides one location where those who are homeless or those who are in danger of becoming homeless can take advantage of a wide array of services. The issues that affect homelessness are many and the agencies that can help are varied. Having many of these service providers in one place makes it easier for the homeless to address those issues. Examples of the services include medical care, mental health counseling, social security benefits, birth certificates, and even hair cuts. Food and clothing are available for distribution and lunch is provided each year. Volunteers act as guides for the clients and assist the participants in finding the service providers needed. Over the last 5 years the event has grown to provide service to more and more individuals. The first year there were 411 homeless served, 300 volunteers and 56 service providers. In 2012, there were 654 individuals served, 474 volunteers and 83 providers. After the first year, the Anne Arundel County volunteer coordinator reached out to the Anne Arundel Bar Association to see if legal services could be added. The Anne Arundel Bar Association Pro Bono Committee was able to recruit four volunteer attorneys to provide legal services. Legal services in the form of brief legal advice and referrals have been provided by Anne Arundel County volunteer attorneys since that second Homeless Day in 2009. The number of participants seeking legal assistance has increased each year. In 2009 the four volunteers provided services to 50 and in 2012 there were 13 volunteer attorneys who saw 80 clients. Those seeking legal assistance were referred to appropriate legal service providers or given advice on how to deal with their legal issue. The Anne Arundel County Homeless Resource Day Planning Team lead by Chris Poulsen has made it easy for the attorneys and the other providers to participate in the Homeless Resource Day. Each year the services provided have been reviewed and needs assessed. There were 56 service providers on the first Homeless Resource Day. This year there were 83 as the gaps in services needed have been identified. It is through this process that the legal services became a part of the Anne Arundel County Homeless Resource Day. In 2011, Governor Martin O’Malley asked that all Departments of Social Services replicate the event so the Homeless Resource Days be held throughout the state. Organizers of those events have sought to follow the model of Anne Arundel County by working with their local bars to provide legal services. The Anne Arundel County’s 5th Annual Homeless Resource Day was held on March 31, 2012 at Glen Burnie High School. This was the fourth year that Anne Arundel County attorneys participated in the event by providing brief, limited legal advice. This year 13 attorneys served 80 clients (1o more than last year) by answering 89 legal questions. Again this year, questions about criminal records and expungement were the most asked. Family law questions, as in previous years, were a close second. Detailed statistics can be found on the statistics wiki page. This year the Local Pro Bono Committee worked to create a program where those who needed to file a petition for expungement would be able to get assistance in filling out the form with the waiver of costs and financial statement. The Homeless Persons Representation Project had provided training for the Homeless Day volunteers in the library. HPRP Executive Director, Antonia Fasanelli and Danielle Cover, HPRP Director of Pro Bono Programs, even came to Homeless Day to offer their expert assistance on the spot. As a result, 2 clients were recommended for HPRP intake and 4 petitions with waivers were filed in the District Court on Monday. Many did not have criminal records that would qualify for expungement. Others were able to take advantage of going through intake by the Office of the Public Defender thanks to Bill Davis. It helped that there were 13 attorneys on hand to help this year. With the nine attorneys who volunteered in the morning to help, wait times for the clients were minimal. As in past years the afternoon is slower and the four afternoon volunteers were kept just busy enough. Morning volunteers were Bill Davis of the OPD, Anne Leitess of the SAO, Andrew DiBlasio, Kurt Roper, Kathy Hughes of Legal Aid, Chris Brown, Jessica Qunicosa of Legal Aid, Lonni Summers of Legal Aid and Kari Fawcett with her associate, Ann Marie Dunn. In the afternoon, Denis O’Connell of the OPD took over for Bill with three attorneys from Legal Aid: Amy Siegel, Lisa Sarro and Anita Bailey.